Of all the practices named in The Way of Love, this one might be the most difficult to achieve. We know that God ordained this practice in the first creation account (Genesis 2:2-3); I don’t think this means God put his feet up, closed his eyes, and fell asleep (the fact that the Creator needed rest is, I suppose, something to contemplate!) I think it’s more likely God wanted a chance to enjoy the divine handiwork, with satisfaction and without distraction; to set aside time to revel delightedly in the newly-minted universe and all its wonders as they unfolded. (Remember, this is the first creation account – no “forbidden fruit” here!) And in “[blessing] the seventh day and [hallowing] it”, God has given us both an example and a directive: as beings created in the divine image, it is God’s intention that we take time to set aside work, cares, and stress, thus allowing ourselves to draw closer to God and to enjoy and appreciate God’s gifts to us. I admit I’ve never been a huge fan of the “Mitford” novels by Jan Karon. But I have read enough of them to remember that each morning the local rector, Tim Cavanaugh, asks God to help him “be a blessing to someone today”. It’s not a bad prayer. In the Way of Love in the Jesus Movement, there are numerous ways that each and every one of us can be a blessing to others. “Unselfishly give and serve” calls to mind the baptismal promise to “seek and serve Christ in all persons”, loving the neighbor as the self. Sometimes, the act of blessing another is obvious: listening to a friend in need, donating to an organization whose work makes the lives of others better, taking a meal to someone recovery from hospitalization are examples of that. But sometimes, the smallest gesture, smile, or greeting, even to a stranger on the street, can make a difference in someone’s life. And as difficult as it can be, sharing with another the impact and change that faith has made in your life and the transformative power of God’s love in Christ, can lead a struggling person into a new path of hope and community. We have a powerful, life-altering, world-changing story to tell – and that’s a blessing! Something wonderful happens when the people of God gather in worship. Whether it’s a small congregation, a crowded cathedral, or the main Eucharist at General Convention; whether the occasion is joyful, mournful, or penitential, coming together as followers of Jesus reminds us that we are indeed the body of Christ in the world (not just in the Church) and that Christianity is very much a communal faith. We are not on this journey by ourselves; in fact, we need one another. The word worship originated in the Old English expression “worth ship”. Our worship seeks to give to God what is worthy of God, as best we can. In our tradition we refer to worship services as liturgy, from Greek words meaning “the public work of the people” (note that word, public). 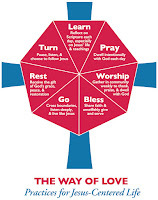 Worship, liturgy, is a two-way street, in which there is always communion of some kind between God and God’s people. And though certain persons – clergy, other ministers, musicians – have specific roles, everyone present is meant to be an active participant. There are no bystanders in the church’s worship of God! When someone is missing, the body is incomplete. One of my favorite hymns is “We the Lord’s people” (#51 in The Hymnal 1982). The text is by John E. Bowers and the second stanza, in particular, describes what our worship gatherings are meant to be, and how they help draw us closer to God: “school for the faithful, refuge for the sinner, rest for the pilgrim, haven for the weary”. Perhaps, from time to time, church has been each of those things for you. It certainly has for me! Out of this text arise two questions: What do we bring to worship? What do we take away from it? Prayer, that is, communion with God, has always been important to God’s people. As we see in the scriptures, prayer can take many forms: Abraham argues with God on behalf of the people of Sodom (Gen. 18:22-33); Moses talks to God in the burning bush (Ex. 3:1-15); the psalms are full of lament, praise, and petition to God (and yes, sometimes anger and confusion – it’s OK to be angry with God), and in the prophets we find many instances of the entire community of Israel’s faithful brought together to offer confession and repentance, thanks and praise. The gospels illustrate, over and over, how important it was for Jesus to spend time on his own, praying and listening to God his Father. The epistles (letters) of Paul and others emphasize the prayers offered and requested on behalf of the early churches and their leaders. Of course, prayer is a two-way street. We speak to God, but we also listen for God’s voice. Sometimes, it’s enough simply to sit (or stand, or walk, or kneel!) in silence before the Divine. What’s the best way to pray? Whatever way brings you closer to God in Christ and allows you to feel the presence of God’s Spirit in your life. For me, raised in The Episcopal Church, the Daily Office in The Book of Common Prayer has always been helpful. Even though I pray the office in solitude, I feel that I am praying along with the whole Church. The collects and my own petitions help me focus on offering my own and others’ needs to God, and through the readings, prayers, and canticles, as well as time spent in silence, I hear the voice of God speaking to me. May your prayer life be ongoing and steadily enriched as you continue to draw nearer to God. I've always been drawn to the Anima Christi prayer, included in the Spiritual Exercises of St. Ignatius (though not necessarily authored by him). There are a number of translations of the Latin, including this one from Finding God in All Things: A Marquette Prayer Book. While this translation is in the singular, some are plural. Here is a hymn paraphrase I've written for congregational singing, in Common Metre Double (CMD). Recommended tunes are Kingsfold and Forest Green. Feel free to use it, with attribution. That through the bread we take and break, salvation we may know. And water from your wounded side our spirits recreate. And as we lift our prayers to you, O hear us, we implore. That from you we may not depart, nor fail to see your face. Your praise shall be our joy and song throughout eternity. As the Collect for Proper 28, the penultimate Sunday in the liturgical year, says, “[God] has caused all holy Scriptures to be written for our learning” and bids us to “read, mark, learn, and inwardly digest” these scriptures (BCP p. 236). Because the gospels focus directly on Jesus’ life and teachings, why not start, or continue, with those? You might want simply want to read straight through, beginning with Matthew. Or perhaps you’d prefer to follow the Daily Office lectionary. This lectionary is in the back of the prayer book (we’re currently in Year 2), or online at http://www.satucket.com/lectionary/. So, that’s the content; but how do we “read” these sacred texts in a way that is prayerful and reflective, and that will draw us closer to Christ? One way is the ancient method of lectio divina (“sacred reading”). Slowly read through the text, and find a word, phrase, or idea in the passage that speaks to you; maybe it’s something you get “stuck on”. Meditate, think, pray, reflect on why it got your attention: what might God be saying to you as you focus on the life and ministry of our Lord? What questions does it open for you? What new ideas does it call out of you as you go deeper into relationship with Jesus? Of course, you need not always do this on your own. A study group can be helpful for support and shared understanding. We hear a lot about turning, especially during the season of Advent. John the Baptizer appears in the wilderness, encouraging his hearers to repent and turn back to God in order to "prepare the way of the Lord". This kind of turning, or "re-turning" - that is, repentance - in Greek is called metanoia, which literally means "to be on the side of understanding". John baptized those who accepted that call. Candidates for baptism in The Episcopal Church are asked, "Do you turn to Jesus Christ and accept him as your Savior?" and "Will you persevere in resisting evil and, whenever you fall into sin, repent and return to the Lord?" Clearly, turning is not a once-and-done action. We choose, again and again, to follow Jesus. So pause in the busyness of your day, and take some time to listen for that “still, small voice”. How is God’s Spirit moving you to follow Jesus? Who might have been there but wasn’t. Dismissed the morning’s mourning women who had likewise found you missing. Who should have been there but couldn’t. You were, perhaps, looking for him. He had shouldered his own repentance and remorse. One violent act done to each of you. Today is the seventeenth anniversary of my ordination as a priest in The Episcopal Church. In 2001 this was not a particular feast on the church’s calendar, lesser or otherwise (cue the hymn “Hail Thee, Ferial Day” – thanks, Jed Holdorph!) though evidently it is now a trial remembrance for John Bosco and Samuel Shoemaker, priests. To be honest, there are years when this date just slips right by without my recalling it, but it’s on my mind this year. This week I’m preparing for a weekend retreat for the newly constituted vestry in our parish, who were just elected this past Sunday at our annual meeting. As I do each year for this occasion, I’m preparing some materials about what the canons (that is, church laws) have to say about the authority and responsibility of the wardens, vestry, and rector (that is, elected lay leaders, board, and priest in charge) – not so that we’ll all know how to play by the rules, or to establish who’s really in charge, but so that we can understand our respective roles, how we work and minister as a team, what is expected of us, and the ways in which we are accountable to one another and the people we have been called and elected to serve. And in an age in which the majority of our members do not come from a background in our tradition, and may have skipped that (admittedly boring) part in Inquirers’ Class, a basic understanding of our denominational polity is helpful, too. As a priest, it will be your task to proclaim by word and deed the Gospel of Jesus Christ, and to fashion your life in accordance with its precepts…to love and serve the people among whom you work, caring alike for young and old, strong and weak, rich and poor….to preach, to declare God’s forgiveness to penitent sinners, to pronounce God’s blessing, to share in the administration of Holy Baptism and in the celebration of the mysteries of Christ’s Body and Blood, and to perform the other ministrations entrusted to you. In all that you do, you are to nourish Christ’s people from the riches of his grace, and strengthen them to glorify God in this life and in the life to come. Shortly before my ordination I took a short retreat, in which I spent time repeatedly praying and meditating on this examination. Every time, every single time, I could not get to that last sentence without crying; even today, as I type and reflect on the words, there’s a lump in my throat and my eyes are tearing up. Not every priest will be a rector, of course, though every rector must be a priest (in rare cases, a bishop will take on that role). The canons of the church give tremendous authority and control to the rector of a parish: worship (including music), religious education, use of buildings and furnishings, determination of who may and may not exercise ministry in the parish and congregation, oversight of programs and staff. There’s very little outside the rector’s purview, actually; yet such authority and control always must be exercised in light of the sacramental responsibility we have to the people God has entrusted to our care, to nourish them from the riches of Christ’s grace. This can only be done from a posture of humility. If I cannot remember that, as I go about the business of being a parish priest, then God help me. We Episcopalians tend to think of ourselves as having some kind of allergy to the “E” word – that is, evangelism. We’ve joked about this, often proudly, for years, decades; but the painful truth is, as much as we say we love our church and our liturgy, we have seemed reluctant to share these things, preferring perhaps to think those whom God intends to have join our churches will have the good sense to come through our (usually) red doors on their own. To many of us, the word “evangelism” conjures up visions of the Billy Graham crusades, or of teams of people going from door to door (or nowadays, standing on street corners or in the train station) asking “Have you been saved?” or “Have you found Jesus?” or (God forbid) “If you died tonight, do you know where you’d spend eternity?” Or perhaps we’ve been led to believe that religion and faith are private matters which, like politics, we should never be so rude as to bring up in polite conversation. Either way, being asked to share our faith can seem intrusive or even oppressive. And yet…. We surely think that we have something worth believing in, worth hanging onto, worth sharing, or we wouldn’t keep coming back to church. We believe in the good news of Jesus, because we have experienced that in our lives. We understand what it means to worship God in the beauty of holiness, because that’s what we do, week after week. We know the power of God to forgive, reconcile, heal, and make whole. We know the joy of community. We have found all these things in Jesus Christ through the church. And we trust that God will work through the Holy Spirit in the lives of others, just as God has worked in our lives. But those others still need an invitation from us. When the first disciples approach their family members and friends about Jesus, all they do is issue an invitation: Come and see. Look for yourself. Experience what I’ve found. Make up your own mind. And as we read in John’s gospel, it’s Jesus himself who issues that first invitation. He doesn’t answer the question posed by Andrew and his friend by giving them information, but by inviting them into experience and relationship. “Come and see” – a simple, friendly, loving invitation. The playbook for evangelism. …an invitation to Christ’s abiding presence. Once again John the “Testifier” points to Jesus as the Lamb of God, but this time two of his disciples are with him. (This is the only gospel that suggests that at least one of Jesus’ eventual disciples followed John first.) On hearing this newcomer’s identity, John’s two disciples “follow” Jesus; at this point that probably means they track his steps where he goes, which is why Jesus notices that and turns to ask them, “What are you looking for?” “Rabbi,” they answer, “where are you staying” “Come and see,” Jesus responds. Where are you staying? Sounds like an odd question. Do they really want to know the address where Jesus is rooming? Or which friend’s house he might be bunking at, in case they know that household? Or how far away that place might be, so they know how long they’ll be dogging his footsteps? Does any of that really matter? Possibly. But might the question signify something less tangible and more indicative of spiritual hunger? The word translated “staying” also means abide. “Rabbi, teacher, where do you abide?” Jesus invites them to “Come and see”, and there they remain, they stay, they abide with Jesus, the Lamb of God. When Andrew and his friend ask Jesus their initial question, I like to picture our Savior turning to them with a warm smile on his face, and extending his hand out to them in invitation. He knows what’s up, because he understands their spiritual hunger. He doesn’t tell them where he abides; he shows them. Presence accomplishes what language is insufficient to convey. May the presence and light of the Lamb of God abide in us these waning days of Christmastide, that we may carry his Good News with us. John sees Jesus of Nazareth coming toward him and names him immediately: “Here is the Lamb of God who takes away the sin of the world!” He goes on to describe who Jesus is, how this newcomer’s way of baptizing (with the Holy Spirit and with fire) will be different than John’s method by water, and how he, John, ranks far below Jesus. John would not have known Jesus, except that when he saw the heavens open, the Spirit identified Jesus to John, who testifies that he is the Son of God, the Chosen One. And now, here he is – here he comes! “Here is the Lamb of God who takes away the sin of the world!” Or, if you prefer: “LOOK! Here comes the Messiah! The one we’ve all been waiting for!” (Note: there are no exclamation marks in the Greek New Testament.) In the fourth gospel, John (not the same one as the gospel is named for) is less “the Baptizer” than he is “the Testifier”. His testimonies will lead others to Jesus. And I like to think that John, and these others, were as excited to see and begin to know Jesus as I imagine them to be from the punctuation in my modern NRSV. And I trust we are, too – because there’s always more to know. John is being grilled by messengers from the religious leaders in Jerusalem. Might this person baptizing in the Jordan and gaining followers be the Messiah? When they ask him “Who are you?” John answers in the negative: “I am not the Messiah!” “Who are you? Who ARE you?” the messengers keep asking, “Elijah?” “The prophet?” John continues to disappoint and frustrate them by not laying claim to any of those identities. Finally, and only when they appear desperate, does John reveal that while he may not be the prophet, he does fulfill one of Isaiah’s prophecies: “I am the voice of one crying in the wilderness, ‘Make straight the way of the Lord’”. 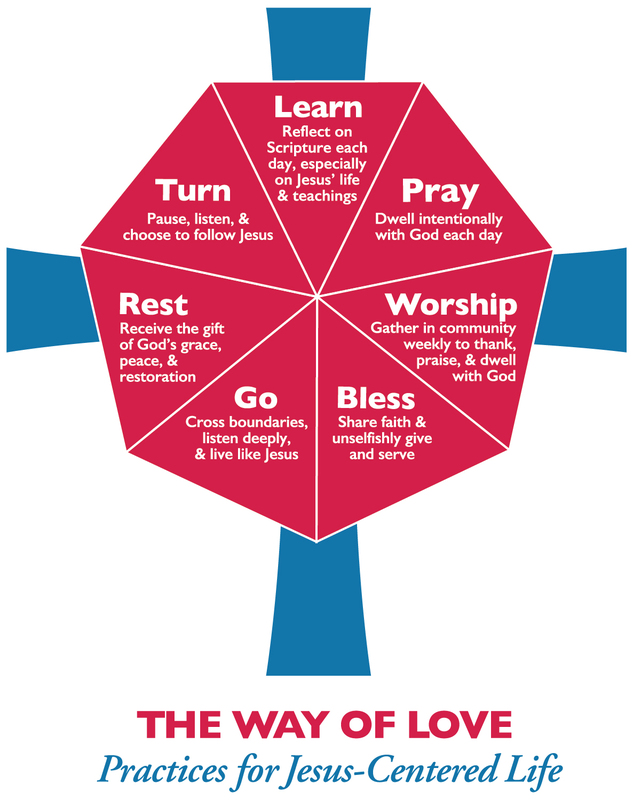 This is used in the current lectionary year as an Advent text. Our wildernesses are many, and exist anywhere that God is not present. Our job is to do everything we can to help smooth the way for others to encounter the living God. How does that job look in your context? …an answer to the question: What’s in a name? The Holy Name, formerly known as the Circumcision of Christ, recognizes several things. First is the Jewishness of Jesus. All male Jewish babies are circumcised on the 8th day. Second is the humanity of Jesus: the Word made human flesh allows this rite to take place. Third is the fact that this infant Son of God is given a human name: Jesus, Yeshua, Joshua. Granted, it means “the one who saves”, but it is nevertheless a human name, given to other Jewish baby boys before the birth of this Jesus the Christ. How often do people change their birth names to reflect a new reality in their lives? Jesus’ reality was clear from the beginning, in the angel’s instructions to Joseph: “…you are to name him Jesus, for he will save his people from their sins.” (Matthew 1:21). The reading from Numbers reminds us that God has put his Name on his people, Israel; Paul, writing to the Christians in Philippi, tells us that since Jesus did not take advantage of his divine status, God “gave him the name that is above every name” – Jesus! …a picture of what our salvation might look like. I’m always struck by the juxtaposition of the lesson from Isaiah (61:10-62:3) and the introduction to John’s gospel (1:1-18) that we read on this first Sunday after Christmas each year of the three lectionary cycles. John tells us that the true light which enlightens everyone was coming into the world, light that the darkness did not overcome. This is the Word, which was with God in the beginning; which in fact, was God; the Word that “became flesh and lived among us…full of grace and truth.” God the Word took on human flesh; we who are made in God’s image could see what true and perfect humanity looked like. At the same time, Isaiah speaks of being clothed with the “garments of salvation” and the “robe of righteousness”. The prophet speaks of beautiful and hopeful promises made to Zion, to Jerusalem, to God’s people. If that salvation, that Word, became human in Jesus the Christ, is it possible that the garment of salvation looks like us? Not as we are, certainly; but as we should be, or could be, or might be, and one day, by the grace upon grace of God, will be?